Belmont Flooring Center offers the services of one of the area’s top hardwood flooring installation companies. We carry the industry’s best and most trusted names in hardwood products, including Shaw, Bruce, Beaulieu of American Somerset and Kraus. With everything from exotic woods to classic designs, we have a flooring product that will match your budget and your tastes. Visit our showroom or browse our products online to select the right flooring for your needs. Once you have chosen a product, our team will get to work installing it quickly and professionally. Our installation includes all moldings, borders and other features you need for a beautiful finished look. In just a few short days, you can have gleaming hardwoods that will stand as a testament to your class and style. If your home already has hardwoods, you may not need installation services. 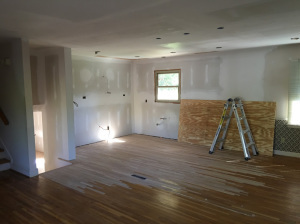 Instead, our team can provide maintenance to get those hardwoods back to top condition. From refinishing and polishing the wood to teaching you about proper hardwood maintenance and damage prevention, the Belmont Flooring Center team will ensure that your hardwoods give you a long and beautiful life. 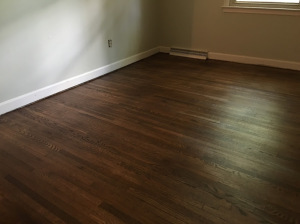 Give us a call today to assess the needs of your existing hardwoods. No matter what your hardwood needs may be, you can trust the Belmont Flooring Center team to handle them well. We know hardwoods inside and out, and are ready to bring our expertise to your home. Give us a call today, or schedule a time to come to our flooring center to see the hardwoods we have in stock for yourself. Let our design and installation teams create the look you crave, so your home can benefit from the timelessness and beauty of hardwood floors.